Born in 1989 in Hawaii on the island of Oahu, Hula (formally known as Sean Yoro) emerged onto the street art scene with murals not in fact made on the street but on walls reached by the artist from his surfboard. The surfboard becomes a floating studio, holding his paints and brushes as he paints on the water. Hula also works inside his studio, and paints on a variety of different surfaces, including broken surfboards and wooden panels. 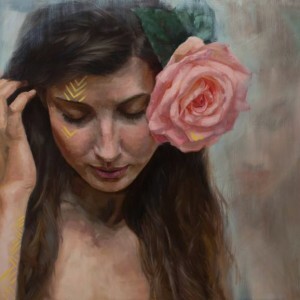 Inspired by famous artists of the Renaissance, he primarily paints hyper-realistic portraits of female figures. 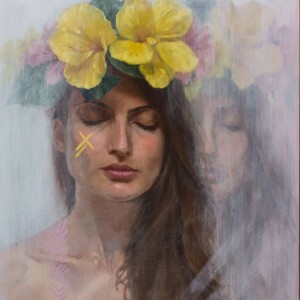 He is inspired by raw emotions, and seeks to capture different moments through the use of oil paint. 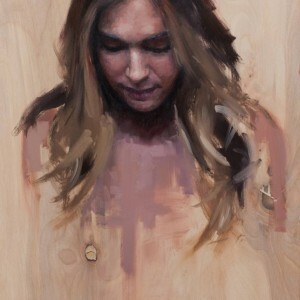 He often likes to leave certain areas unfinished in order to emphasize the areas that he felt most compelled to paint. Hula currently works out of New York City, traveling frequently around the US and Europe to paint murals and exhibit his work. I am always drawn to paint emotions and moments that I have a hard time expressing with words. I love using women as subjects because aesthetically they bring a softer, more delicate feel to the underlining message of my works. I also use these tribal-like markings on the figure, which represent the scars we get in life and how they make us unique and beautifully different. I usually like to add some interaction between these markings and the subject, showing their relationship with their own scars. In the studio, I will never paint without my music. I listen to everything from Hip Hop to old Hawaiian classics. When I am painting my murals along the water outside, music seems out of place with the sounds of nature so the silence suits me well. It feels nice to have the change of painting environments. It would be any piece by Istvan Sandorfi. 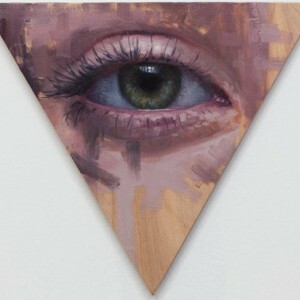 The amount of raw emotion mixed with hyperrealism is what I always hope to achieve with my paintings. Definitely C.S. Lewis and J.R.R. Tolkien. Their imaginations and storytelling has always kept my mind busy with new perspectives and excitement since I was a kid. We invite you to learn more about Hula’s unique artistic practice in this video!